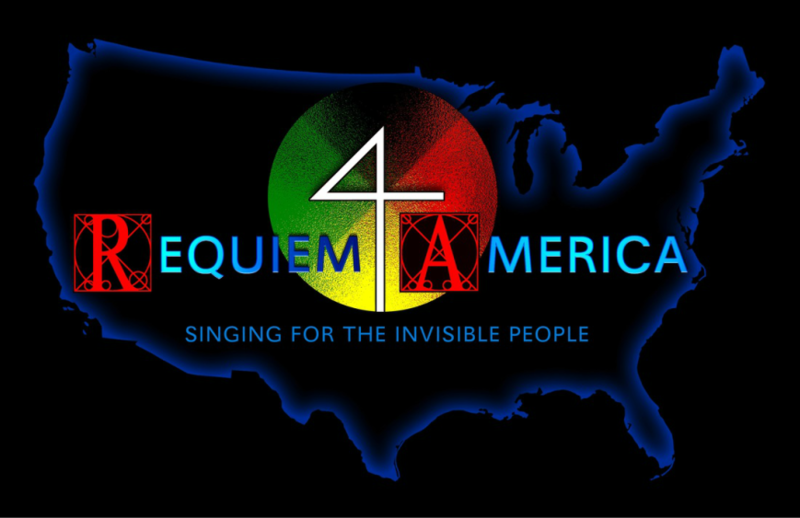 ​WHY CREATE A REQUIEM FOR AMERICA? Requiem for America is an amazing musical commentary on the founding of America, and a vital one in today’s American landscape. Not only does the anti-requiem saliently lay bare America’s forgetfulness of her original people, but each performance directly involves the indigenous people in nearby tribal communities. This beautiful project deserves our best support! As we struggle against the deep legacy of racism in the United States, it’s high time for us to face and to mourn the genocide of Native Americans, on which this nation was founded. I'm proud to be associated with this project. We invite you to join us on a powerful and courageous journey into America's un-remembered past. Mohican composer Brent Michael Davids is composing a 90-minute,​ secular ‘anti-Requiem,’ spinning the traditional Christian Death Mass on its head to give voice to America’s invisible people: the American Indians. The lyrics juxtapose genocidal texts from America’s founding against historical letters by the American Indians themselves. Chauvinist Bible verses, the Papal “Doctrine of Discovery,” and writings of prominent US leaders are contrasted with the cries of abuse and desperate pleas for survival articulated by American Indians. The Requiem’s standard 18 movements are reworked into provocative confrontations that challenge both the norms of the traditional Requiem genre and the sanitized rhetoric of American history. The question of who lived in America before it was America is plagued by misinformed stereotypes that render American Indians invisible. Imagining Indians as wandering nomads without civilization is dehumanizing. Yet, America was built on the backs of these invisible people by stealing land, exploiting resources, and even utilizing an indigenous system of government. REQUIEM FOR AMERICA is a profound opportunity for self-reflection, to reconsider an identity that does not forget America’s founding. The 60-minute REQUIEM challenges America to look in the mirror and re-examine what “America” means. REQUIEM FOR AMERICA engages issues raised by similar pieces composed by Davids in the past, but on a grander scale. Davids’ "Uncovered Wagon," a 12-minute a cappella work commissioned and recorded by Chanticleer in 2002, reinterprets traditional western singing styles and subject matter in the context of exuberant American Indian melodies, harmonies, and rhythms. More recently, his concert opera, "Purchase of Manhattan," premiered in 2014, retells the story about the founding of New York City from the standpoint of the Lenape Indians, on whose land the city was built. The opera’s cast features both western and Native American singers—a prominent aspect of the new REQUIEM as well. Minus the liturgical purpose of ‘granting eternal rest,’ REQUIEM FOR AMERICA is a flag-bearer for the real, living, non-mythical, indigenous Americans. Each movement of the work investigates the closeted history of America. Unlike traditional concert music, REQUIEM integrates the exclusively oral singing tradition of American Indians into the milieu of western written music, while the instrumental component of the work gives prominence to American Indian percussion instruments and wooden flute. To add your voices and join the consortium, please visit the CONTACT page!